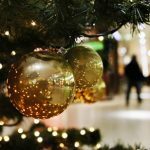 At this time of year, our lives should be filled with joy and contentment, but in the days and weeks preceding the holidays, we often get caught up in all the stress and commercialism. As maintaining spiritual balance can be especially challenging now, here are a few tried and true spells and rituals to help you move with joy and wonder through the remaining days of 2013. People sometimes misunderstand the term spells. In reality, if you are working with the highest intentions, spells are designed to draw something into your life that will improve it or help rid you of troublesome energy that is keeping you from living the life you want to lead. When practiced faithfully, rituals can create deep transformation within you, strengthen your spiritual being, and create a shield of protection and power around you. Stress is one of the greatest drains on our joy. As we add more activities and obligations to our list than normal and rush from one place to the next, it's hard not to get harried. The following stress-relieving ritual can restore your energy and focus in just a few minutes. Use this ritual as a quick pick-me-up any time you feel drained, burdened or exhausted. Preparation: The beauty of this ritual is that it can be done at any time and any place with one simple item: an egg. You can perform this ritual clothed or unclothed, and in a relatively short period of time. The Ritual: Find a relaxed sitting position. Begin by gently rubbing the egg up and down your arms, taking care not to break it. The egg will act as a demagnetizing agent, picking up invisible stray, restrictive or negative energy that has attached itself to you during the day. Once you have demagnetized your arms, repeat on the legs, torso, neck and head, until you have covered every inch of your body. Once the ritual is complete, break the egg into a toilet and flush away all the metaphysical stressful energy of the day. Money is another issue that can undermine our enjoyment of the holidays; fortunately, this spell can help keep the money flowing in. If you carry this amulet with you, you will always have what you need, when you need it. The Universe directs the flow of our money, and this amulet will enlist Spirit's help in creating more abundance and financial balance. Preparation: Wear green or gold while performing this spell. Also, play upbeat and energetic music - something you might feel compelled to get up and dance to. This spell is best performed on a Monday or Wednesday, or during a waxing full Moon. The Spell: Light the incense wand and then light the green candle with it. Take the incense and wave it over the dollar bill, first on one side and then the other, to charge it with magic. Set the bill face up in front of you. In the center, sprinkle a small pinch of cinnamon to generate activity, followed by a small pinch of allspice to generate expansion. Then add a small pinch of ground clove to activate longevity. Fold the bill in half, and then half again, continuing until you can no longer fold it. Wrap the bill with the gold thread or cord, tying your intentions within the amulet. Complete your amulet by tying three knots at the top and trimming away the remaining gold thread or cord. Place the amulet on your forehead and visualize dollar bills falling from the heavens, then meditate on the feelings of ease and happiness that come with financial security. Next, place the amulet on your heart, meditating on the abundance that will surround you. When your meditations are complete, blow out the candle and deposit the amuletinto your purse or wallet as an indicator to the Universe of where you would like the funds to be deposited! Many of us are unable to be with our loved ones during the holidays, which can bring a bit of sadness to the season. Whether your loved ones are far away or have crossed over to the other side, the following is a wonderful spell to send them love, protection and acknowledgement. When you are separated from loved ones due to distance or circumstance, this spell will send them light, protection and love. Your quality of intention and focus are what give this spell its wings, so make sure you request protection from Spirit on their behalf with a sense of strong, clear desire. This is also a wonderful spell for any loved ones who are facing health problems, traveling, or in the midst of dangerous or emotionally trying situations. Preparation: Wear yellow when performing this spell. Play music that reminds you of the person you are requesting love and protection for. This spell can be performed whenever the need arises and continued on a nightly basis if need be. The Spell: Place the three candles in a pyramid shape, one in front of you and two behind the first candle. Place the photo or keepsake of this person to the right of the candles, and the greeting card and envelope to the left. With the quartz crystal, carve the initials or name of the person you're requesting protection for into the front candle. Then place the crystal on top of the greeting card and envelope. Light the amber incense, and then light the three yellow candles with it. Place one amber stone in each hand, and meditate on the person you are sending the protection to, contemplating their current situation and needs for 3-5 minutes. When finished, place one amber stone in front of the left rear candle, and the other in front of the right rear candle. Pick up the person's photo or keepsake and smudge it with the incense wand, waving it over the top, bottom and sides to purify and charge the icon. Return the incense to its holder. Hold the photo or keepsake in your right hand and meditate on sending positive, loving energy directly to this person. When you are done, return it to its original position to the right of the candles. Next, take the greeting card and write a direct message to your loved one, listing all the wishes you have for their protection and how important they are in your life. When your message is complete, sprinkle one pinch of garlic powder for protection, a sprinkling of anise seeds for optimum health or healing, and one pinch of sea salt for physical stamina into the center of the card. Fold the card, place it in the envelope, and seal it. Set this card in a very special place where it will be undisturbed. Place the crystal, two amber stones and keepsake on top of it. Blow out the three candles. Burn these three yellow candles and the amber incense nightly during your meditation sessions or when you feel the need to send them extra protection. In this way, you'll continue to send a constant flow of spiritual protection to your loved one. If you try the spells and rituals included here, they're sure to enhance your holiday experience in wonderful ways. For more spells and rituals that address your most pressing issues regarding love, money, manifestation and spiritual protection, check out Susyn's e-book Rituals for Empowered Living, available at SusynBlair-Hunt.com. Susyn Blair-Hunt, Ms.D., is known internationally for her psychic readings, daily horoscopes here at Kajama, and complete guide book to the Tarot Tarot Prediction and Divination. This article contains excerpts from her e-book book, Spells and Rituals for Empowered Living. Susyn has been a professional metaphysical consultant for over 25 years and holds a Doctorate in Metaphysics along with certification by the American Association of Professional Psychics and the American Tarot Association. To learn more about her readings and books, visit SusynBlairHunt.com. "Life happens. Life in the flow." We learn over time that nobody can solve our problems, but someone can guide you how to solve the problem. You may receive guidance through a teacher, a guru or even strangers that you run into every day. As we practice yoga we learn that the more we know, the less we truly know. Every day I am reminded how much I truly do not know; a very humbling experience. Yoga teaches me to be present. To just live for being and enjoying life as it is right NOW. Not ten minutes from now, no five days ago, but right now. We are taught to get out of our heads, to release worries and fears of the past or the future and to only live for this very moment. Presence. Through yoga we are reminded that we do have a dark side as well as a light side. We are not to repress the dark side, but embrace that side of our Self. We are the yin and the yang. We ultimately cleanse the dark stuff we hold inside. We shine the light on this. We must make friends with dark side. Both positive and negative balance out the whole. Daily practice refines and improves our inner vision to see our Self more clearly. We no longer need to run from fears. Face them and say I'm not running from you anymore. So much is in our heads, so much dark is only in our heads, self-doubt judgment betrayal. Yoga grounds the body so that the light and dark sides of ourselves become clear. So much is truly untrue. But as we diligently practice we are able to find the middle ground and walk our centered balanced line in life. We gain balance in centered lightheartedness. We can have harmony in both light and dark. "Yoga tells us that the world is actually a projection of our own thoughts and we can modify our inner world to manifest into our outer world. When our inside realm is at peace and in harmony, our outer world shines this projection back at us." We can observe our world and see what part that is in us is begin reflected back to us. We can then see what part of us needs modification or adjustment in order to have our outer reality reflect back to us the peace, happiness and love we so greatly desire and deserve. Yoga is already inside of you. Happiness is there. Yoga helps you peel away the onion layers to get to the core. To freedom. The deepest Divine connection to the Ultimate Light Source. Come out of wanting and back into acceptance and Joy. A yogi or yogini can turn any situation into bliss. That is a yogi. Yoga is being now. Ultimate yoga is meditation. Just BE. Through a dedicated practice of all forms of yoga we can participate in the world with a sense of freedom, unaffected from trauma, depression, anger, etc. The freedom is balance in both. Maggie Anderson is a Yoga & Spiritual Teacher, Reiki Master Teacher, Integrated Energy Therapy® Master Instructor, Soul Coach®, Past Life Coach, Magnified Healing® Master Teacher and Angelights Messenger. She is the author of How I Found My True Inner Peace and Divine Embrace. You can contact Maggie at SpiritualCompassConnection.com. "Follow Your Bliss. It's Your Spiritual Compass."